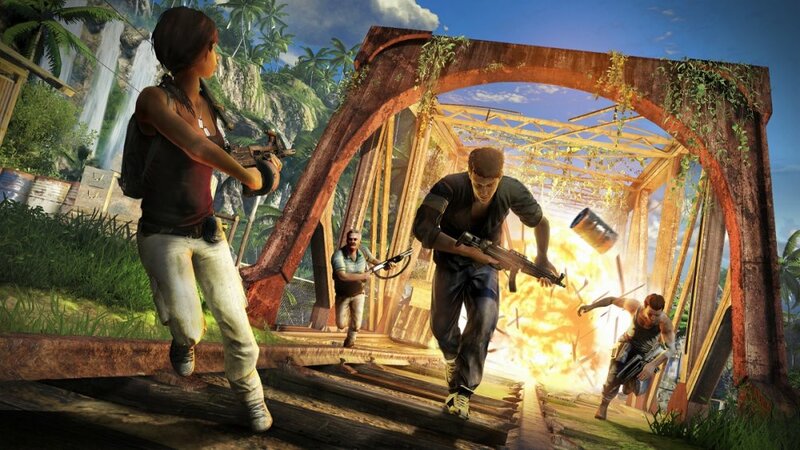 Far Cry 3 was a great game offering 4 player combo co-op across offline and online, we covered the game at Co-Optimus Towers. However, the other games in the series also rocked pretty hard (yet they lacked co-op). You will soon be able to get your Far Cry on with the upcoming PS3 complication containing Far Cry 2, 3 and Blood Dragon. You read correctly, this pack 'o' packs will not contain the first game in the series, but does have the second title and the excellent downloadable spin off. The Far Cry Compilation pack is a PS3 exclusive in the US and is released on February 11th for $40. Those 360 fans who feel like there are missing out should check the latest XBL sale before it is over. Residents of the EU can make their Atlantic bound cousins jealous by flaunting their own Far Cry Wild Expeditions bundle. This contains the same games as the US, but also Far Cry Classic. It will be coming to 360 and PC, alongside the PS3. This pack costs 43 Euros or £33, depending on which country you are in and will be out on February 14th - a happy Valentine's Day for someone, somewhere.